Management accounting is used by a company to provide timely and relevant information to key stakeholders in a business. The data provided assists managers and other relevant bodies, to make decisions based on fact and to develop the company. 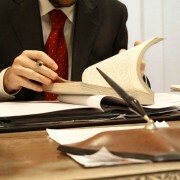 Management accountants provide added value to the company, in addition to financial accounting. There are a number of benefits to be gained by incorporating management accounting into your business regime. To have a healthy cash flow balance, a business requires a budget. To be effective, the budget is based on historical data from previous budgets. Using the information from previous years, management accountants will create an up to date budget for the whole company. Very often, each department will have its own budget, which will feed into the main plan. By producing a budget, the company will save money which can be re-invested. As the company follows a budget, the cash flow will automatically improve as unnecessary expenditure will be removed. A company’s revenues can be increased with the assistance of management accounting. Forecasts are prepared which indicate consumer demand, changes within the market due to price fluctuations and potential sales. By using the information provided, a business can make sure they take steps to meet the increased demand from clients, while maintaining the current prices. Competition is also a factor which could affect the company’s revenues and management accounting will monitor this situation. Although management accounting doesn’t revolve around the financial accounts, it does hep to reduce costs and expenditure of a company. Using the information from management accounting methods, a company can reduce operational costs. Reports consider the various costs of production, like the cost of raw materials and whether it is possible to use a slightly cheaper raw material. The potential quality is also considered so that the final product claims the same level of demand. All businesses need to have facts before they can make a decision which is beneficial for the company. Management accounting produces the facts required for managers in the company to make sound decisions, financial and others too. Forecasts can be used to see how specific decisions would affect a company, along with producing reports which outline the current health of the company. If you are considering management accounting, or would like to know more, contact us for an informal chat.